The most popular of Mosmatic's professional surface cleaners range, this surface cleaner comes with a vacuum recovery function. Decreasing environmental impact with the ability to hook up your wet vacuum recovery system for disposal and recycling of dirty water. The vacuum plate contained redirects the vacuum across the diameter allowing more effective recovery rather than only around the vacuum hose connection. 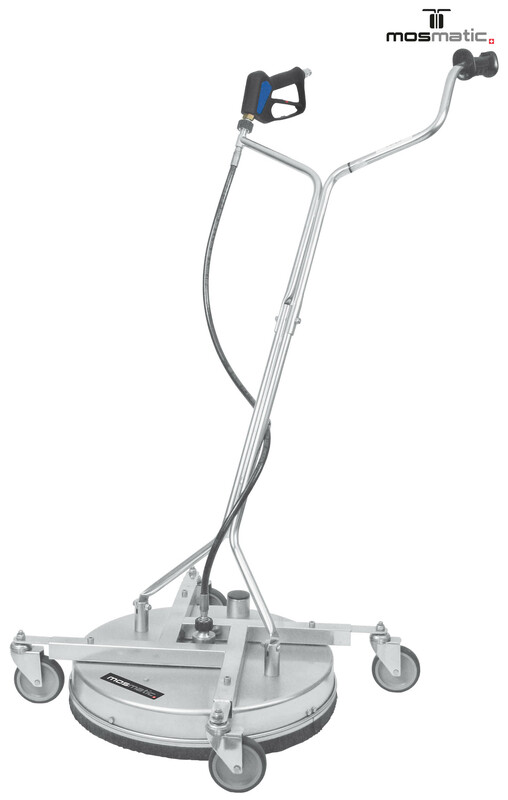 With cross bars for increased strength this unit allows for height adjustment of the brush as well.